I really liked Brooklyn and my school, I feel like I was in a movie! Brooklyn School of Languages offers modern classrooms, a small communal kitchen area, free internet access and Wi-Fi and stunning views of Manhattan, the Statue of Liberty and Brooklyn. Classes are small (max 10 students) to ensure students receive the best possible language learning experience. The school is situated in the heart of Brooklyn Heights, just 5 minutes walk from the famous Brooklyn Promenade which looks out over Manhattan and the Brooklyn Bridge. There are a wide range of shops, restaurants and bars all within a few minutes' walk of the school, and the nearest subway stop, serving the 2, 3, 4, 5 and R lines, is right outside the school entrance. Brooklyn School of Languages is just 1 subway stop from Manhattan. Housing options include host families, a year-round shared student house and a summer student residence. 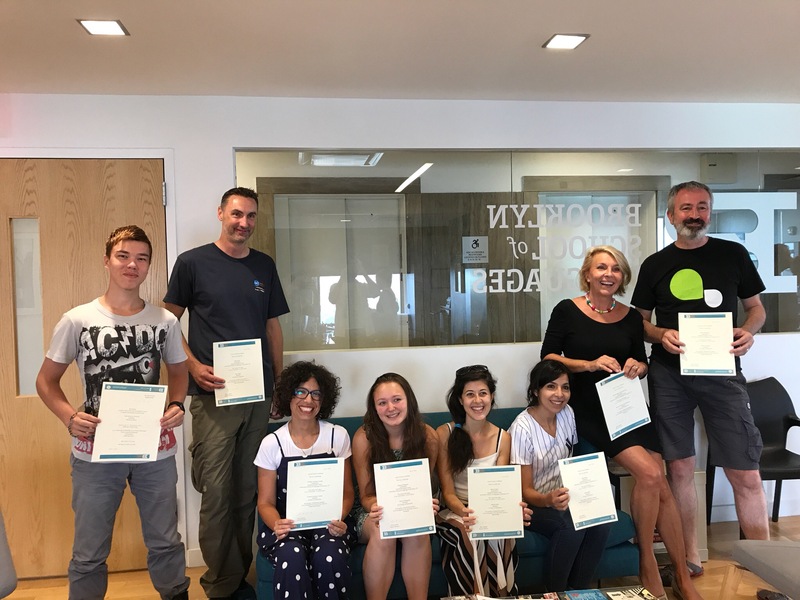 Standard English course focuses on learning through real-life communication (speaking, listening, reading, writing) inside and outside of the classroom. This is a Standard English language course of 20 lessons (= 15 hours) taught in small classes which allows expert teachers to provide individual feedback and advice on how to improve and further develop language skills. This ESL program is for students wanting a more full-time course than the Standard English program. It includes 10 additional lessons each week focusing on a specific subject. The first 20 lessons take place in the morning and use a communicative method of teaching to increase the students’ knowledge of general English by improving their reading, writing, speaking, and listening skills. The 10 afternoon lessons are divided up into sections focusing on a specific subject. These are academic skills-based and content-based electives, allowing our intensive students to progress at a quicker rate while improving their academic English skills. This course is similar to the Standard English course but includes 2 additional 1-hour conversation classes each week focusing on New York City-themed topics, during which students will get a chance to practice their conversation skills while learning more about the city. 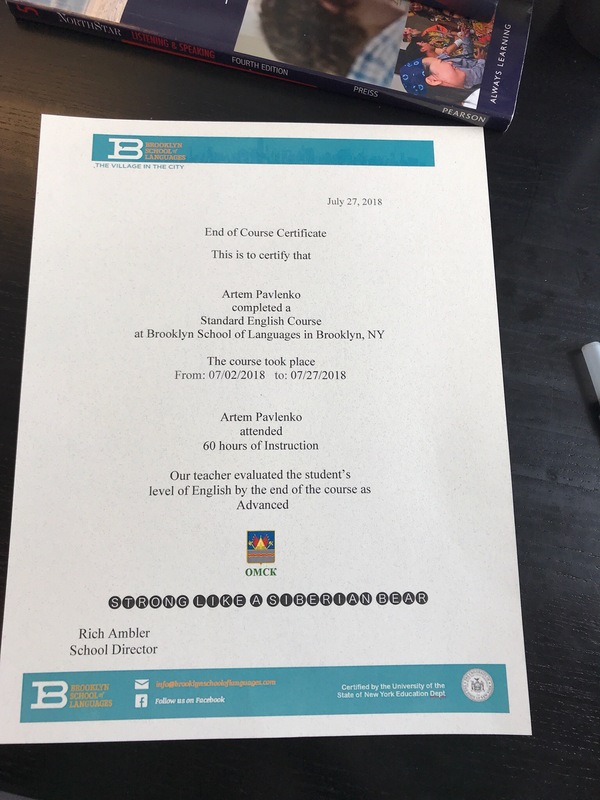 The primary focus of this class will be on improving fluency, pronunciation, and overall conversation skills as well as expanding the students’ vocabulary and their knowledge on New York City-related topics. This program offers the best of both worlds: the interactivity and liveliness of group classes, and the personal attention of a dedicated teacher. You follow the Standard English group course in the morning and take 3 extra private lessons in the afternoon, during which you will be able to focus on your areas of weakness or discuss a topic of special interest. Your teacher will adapt his lessons to your own personal needs and interests. Living as part of an English speaking household is simply the best way to truly immerse yourself in the language. You will be practicing the English you have learned every day with other English speakers, which means that you will never stop learning and improving your fluency. It is also a great chance to get to know people living in New York and share their way of life. The BSL shared student house is located in Bedford–Stuyvesant, also known as Bed-Stuy for short. Recently, the neighborhood has seen substantial change as young professionals and artists are moving in and new restaurants, bars and businesses crop up to cater to them. You can find a selection of stores, bars and restaurants on avenues such as Lewis, Bedford and Marcus Garvey. It's a diverse neighborhood, with tons of commercial activity and residents of all ages and ethnicities. All of this is just 25-35 minutes to Manhattan by subway. The house has 6 large bedrooms on the 1st and 2nd floors, 3 bathrooms, 2 seating areas, a large communal kitchen, and a large backyard. You will share the common areas of the house (bathrooms, kitchen, backyard) with 1 or 2 other BSL students as well as other guests, and will have full access to the equipped kitchen to cook your own meals. The house manager lives with her family on the ground floor and basement. The house is located on a tree-lined street in beautiful Prospect Lefferts Garden. This student house is the perfect home away from home. Shared with other students from Brooklyn School of Languages, this 3bed/1bath apartment boasts an updated kitchen, spacious living room, and big bay windows. Bed linens are provided, but students should bring their own towels. There is a washer and dryer in the apartment available for student use for a small fee. Wi-Fi is available for free. Students will be asked to leave a $100 security deposit by credit card at school on the first day. It will be refunded back on to the card once we have checked the bedroom for cleanliness, laundered sheets, any damage etc. The newly renovated house features 4 floors of exclusively designed spaces with central air conditioning, hardwood floors, washing/ drying machine, and 24/7 security in all common areas. Each floor has its own living space with bedrooms, bathrooms and modern kitchens. In total there are 14 bedrooms, 3 fully-equipped kitchens, 5 bathrooms, a living room/coworking space in the basement, and a spacious backyard. All of the common areas are massive in comparison to your average New York City apartment. Bed linens and towels are provided. Wi-Fi is available for free. The house is cleaned professionally twice a week. This house has a capacity of around 20 people and is shared with locals and/or other international students.